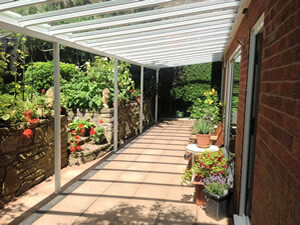 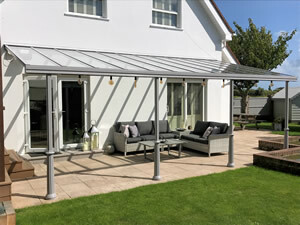 The Style6 is a stylish veranda, canopy, carport and glass room system that is glazed with a choice of 6mm toughened glass or 6mm solid polycarbonate. 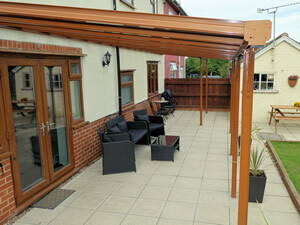 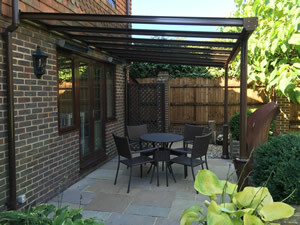 With elegant posts and optional glass roofing, this product offers you a deluxe canopy or veranda at an affordable price. 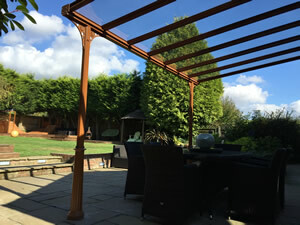 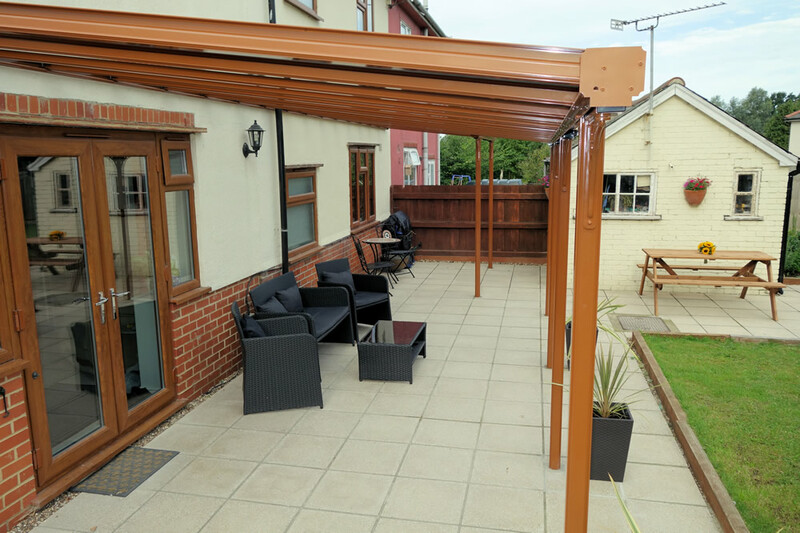 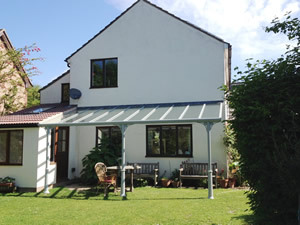 All framework is constructed from durable aluminium, with the option to powder coat the structure to any RAL colour or BS colour of your choice. 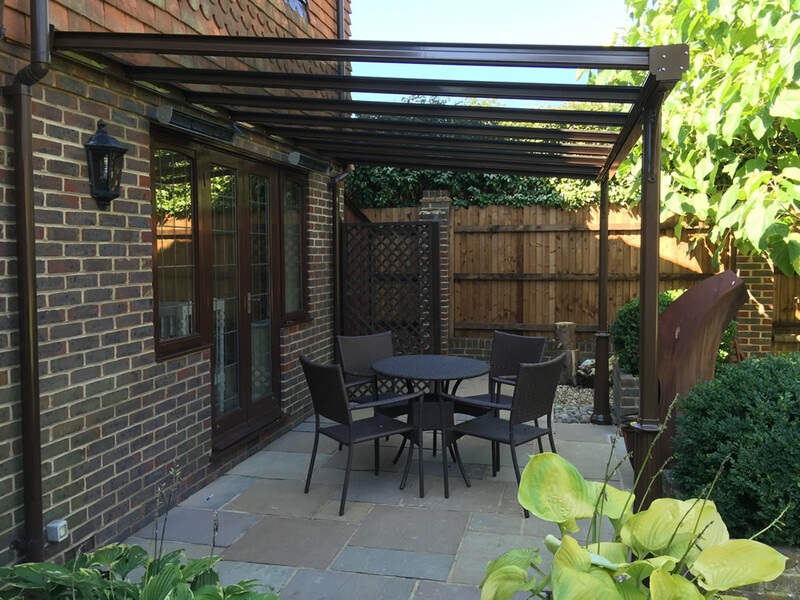 The Style6 is the perfect veranda solution for domestic gardens and provides effective and stylish cover from the weather for alfresco dining and garden parties. With a span of up to 3.2m (3.1m for the glass option) from its supporting wall, and an unlimited length, you will have a solution that can be adapted to suit your exact needs. 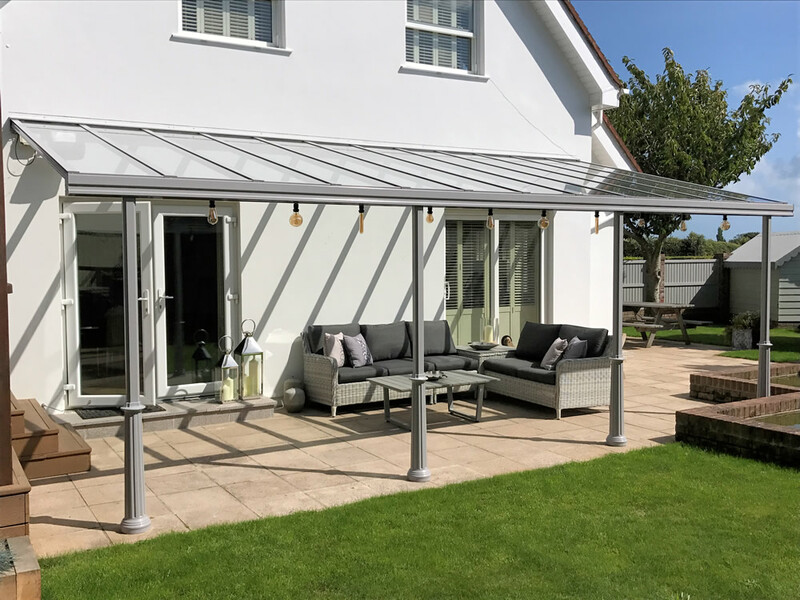 The Style6 comes with a full 10 year guarantee and a 25 year life expectancy, making this a real investment that you will be able to enjoy for many years to come.